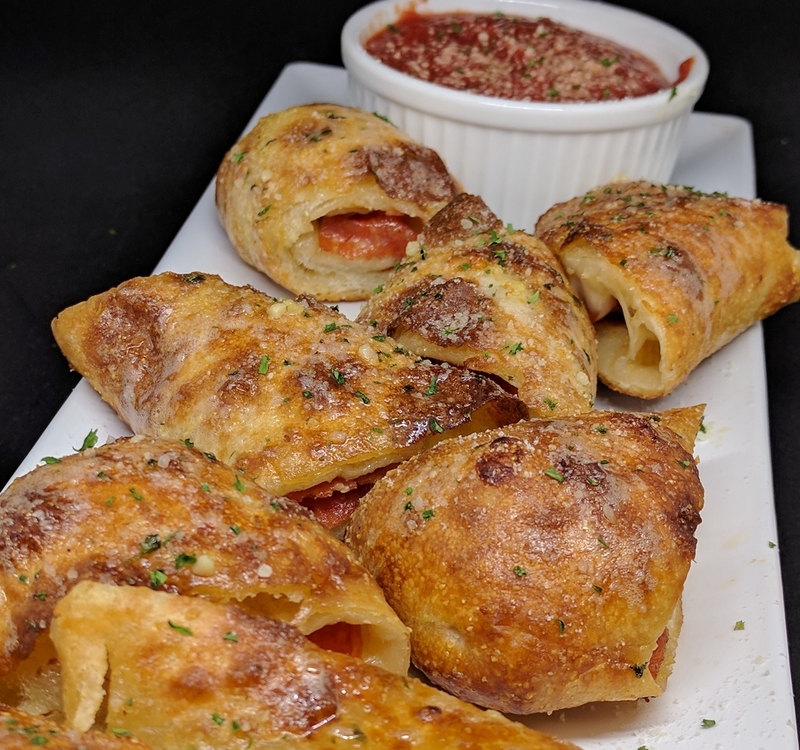 Baked bites of breaded pepperoni and melted mozzarella bathed in garlic butter sauce. 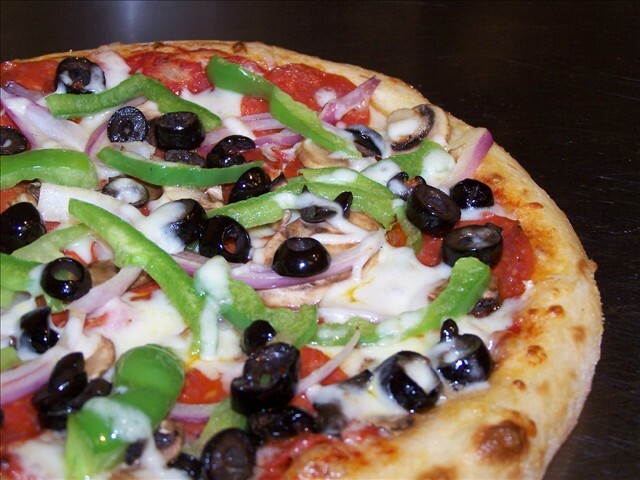 Served with choice of ranch dressing or house marinara dip. 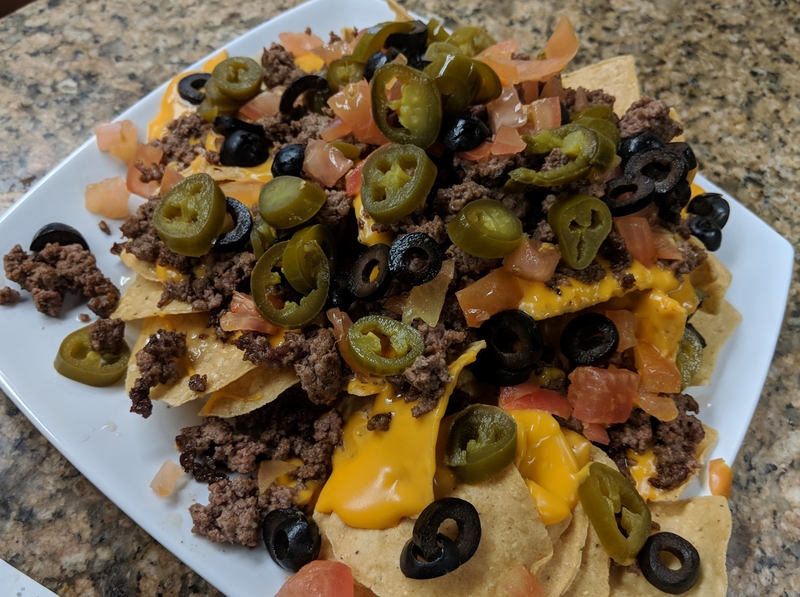 Fresh fried tortilla chips covered with nacho cheese sauce, jalapeno peppers, sliced black olives, diced tomatoes, seasoned ground beef topped and chorizo with diced green onions. The classic Chinese crab puff re-imagined with a little jalapeno infused kick. 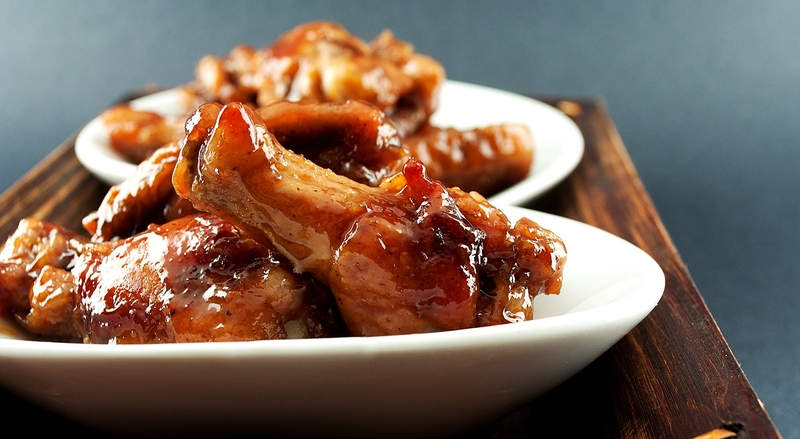 Served with sweet orange sauce for dipping. Angus ground beef, bits of bacon and nacho cheese rolled in a crisp flaky egg-roll wrapper. Served with Buffalo Ranch for dipping. Fresh leaf spinach, sliced avocado, grilled chicken breast, dried cranberries, feta cheese and sliced almonds. Served with garlic cheese toast. Fresh chopped romaine lettuce tossed in creamy Caesar, grilled chicken breast, shredded romano cheese and garlic croutons. Served with garlic cheese toast. 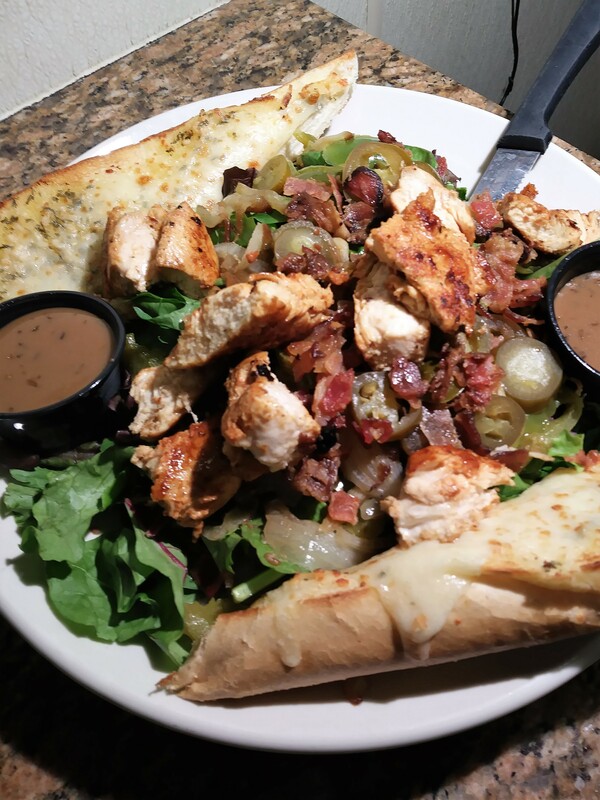 Grilled chicken breast sautéed with fresh jalapeno peppers, grilled white onion, green bell peppers and fresh chopped bacon all atop a bed of fresh spring medley greens. Served with cool ranch dressing and garlic cheese toast. 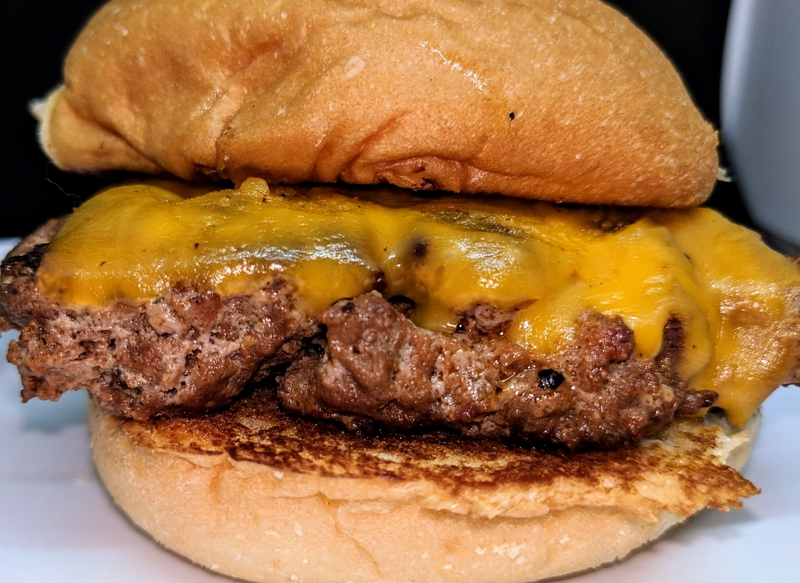 Our 1/2 pound fresh ground angus beef burger built just the way you like it. 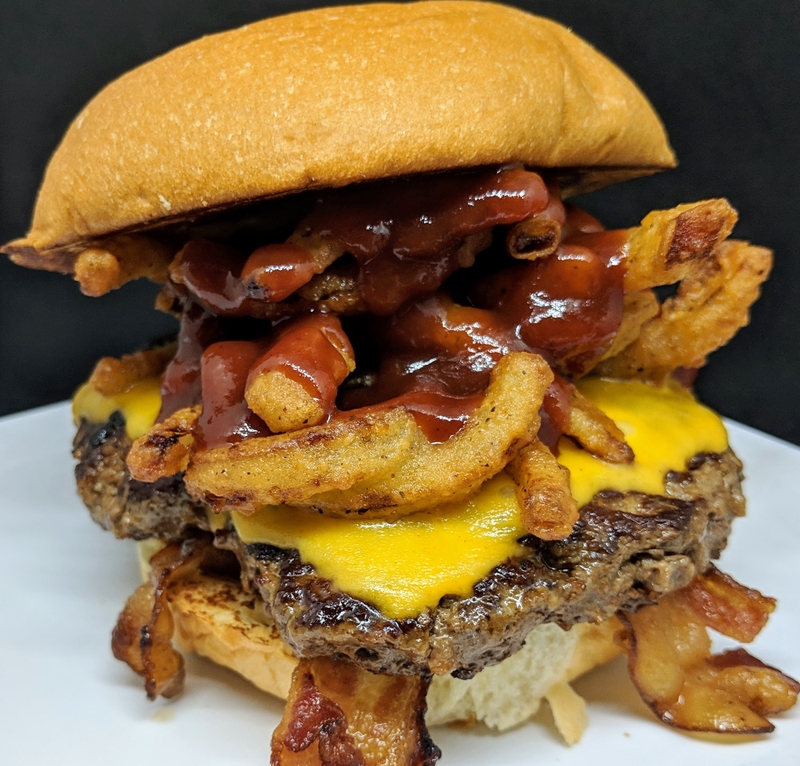 Our 1/2 pound Angus burger topped with thick cut bacon, sharp cheddar cheese, haystack onion straws and our sweet and savory bbq sauce. 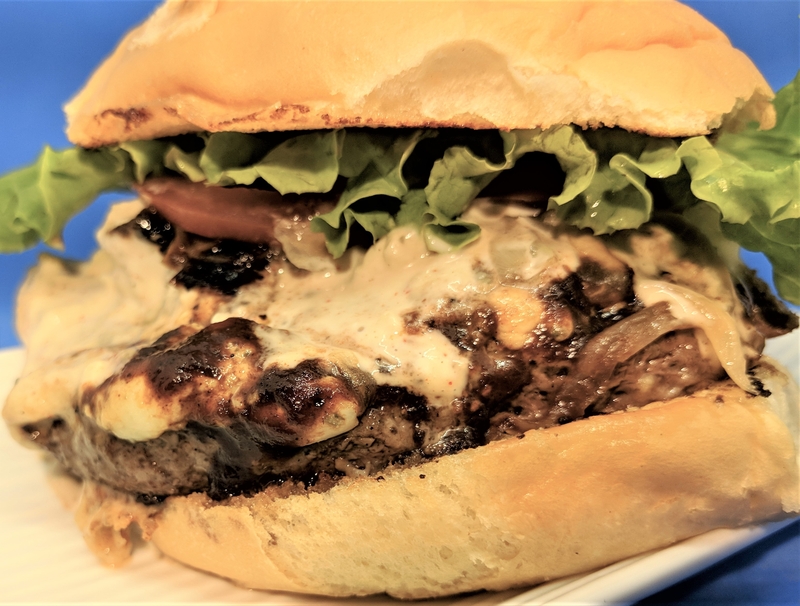 Our 1/2 pound Angus burger topped with topped with house made chunky Bleu cheese dressing, lettuce, tomato, grilled onion and drizzled with A-1 Steak sauce. 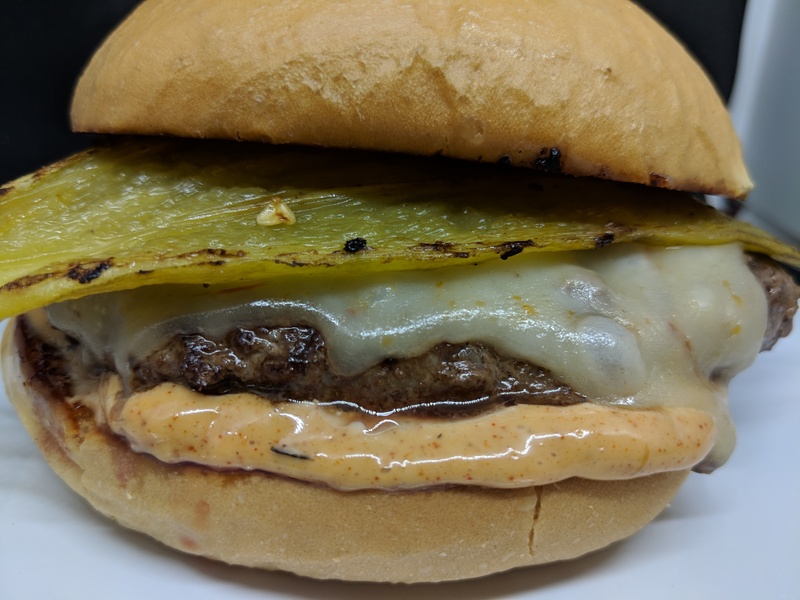 Our 1/2 pound Angus burger topped with roasted New Mexico green chile, habanero pepperjack cheese and garlic aioli mayo. Fresh ground angus beef and spicy chorizo make this burger jump. 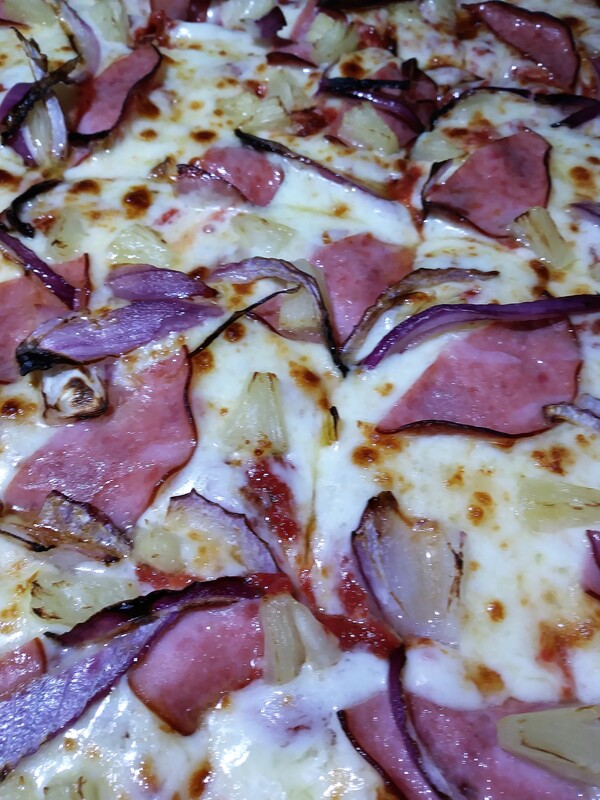 Topped with sharp cheddar cheese. 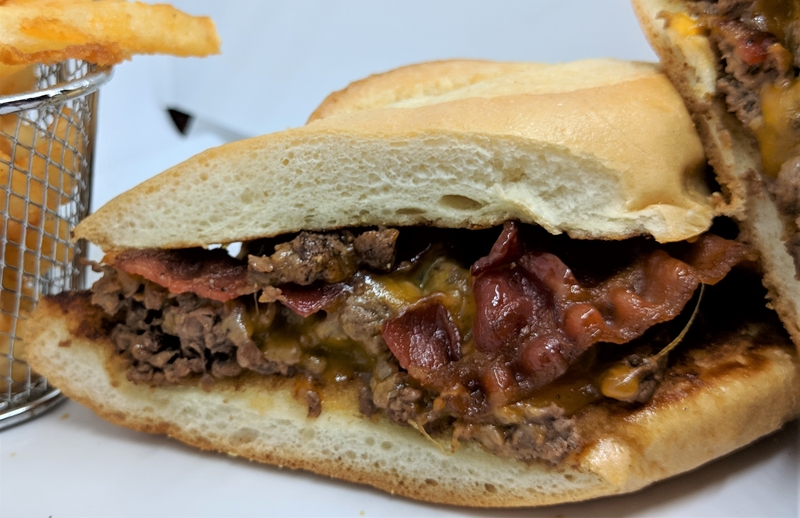 Prime Sirloin steak shaved thin, grilled with thick cut bacon and cheddar cheese. 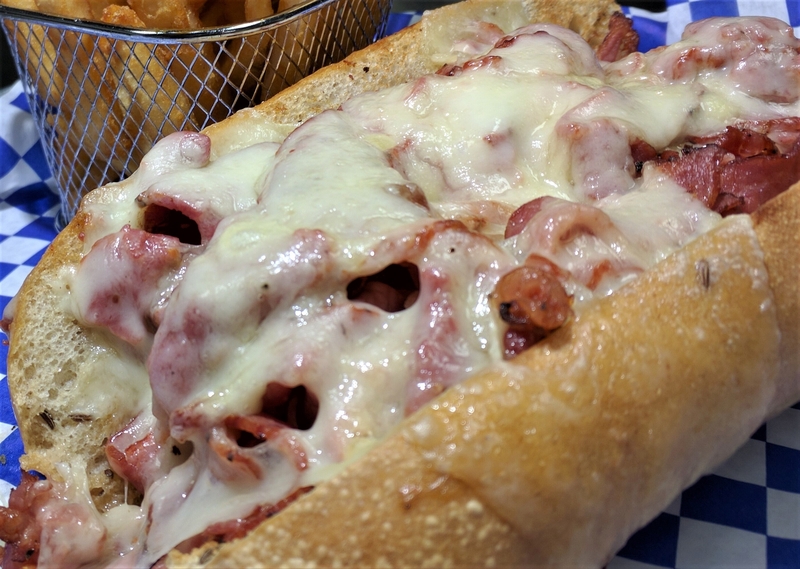 Served on an Italian sub with bacon infused jam. 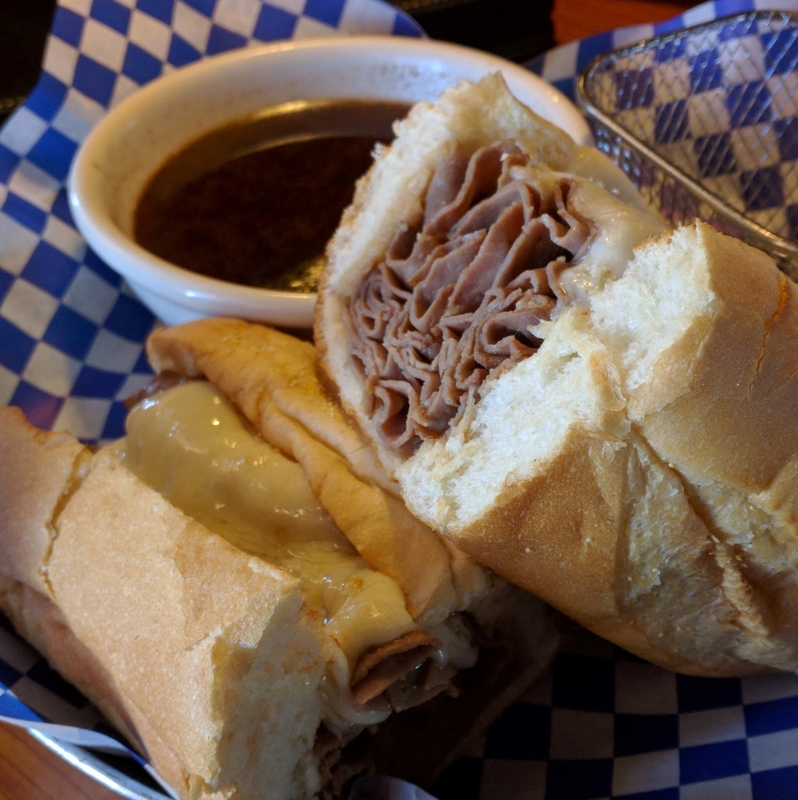 Traditional Beef brined and peppered pastrami sliced and piled high on a rye hoagie roll. 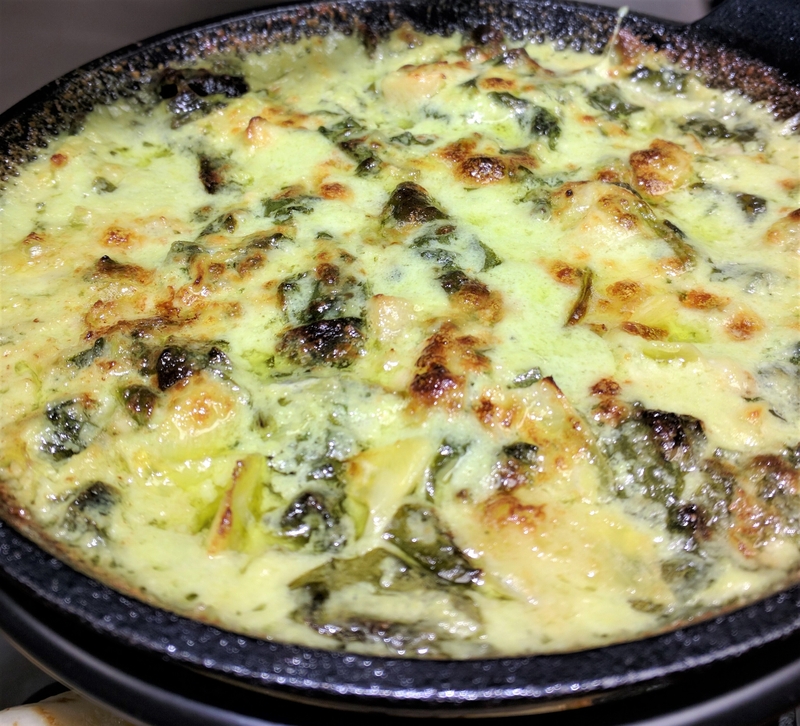 Topped with sliced provolone and grained wine mustard. Freshly shaved sirloin sauteed with sliced mushrooms, bell peppers, white onions and Havarti cheese. Tender shredded pork marinated in our house blended sweet and spicy BBQ sauce topped with crispy fried onion straws and sliced pickles served on an Italian hoagie. 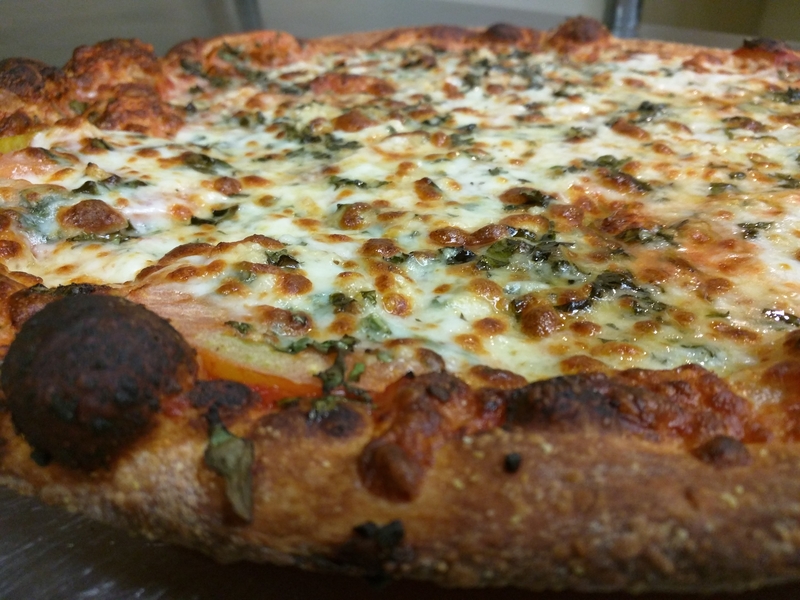 Our house made ground Italian sausage sauteed with bell peppers, white onions, smoked provolone all bathed in rich marinara. 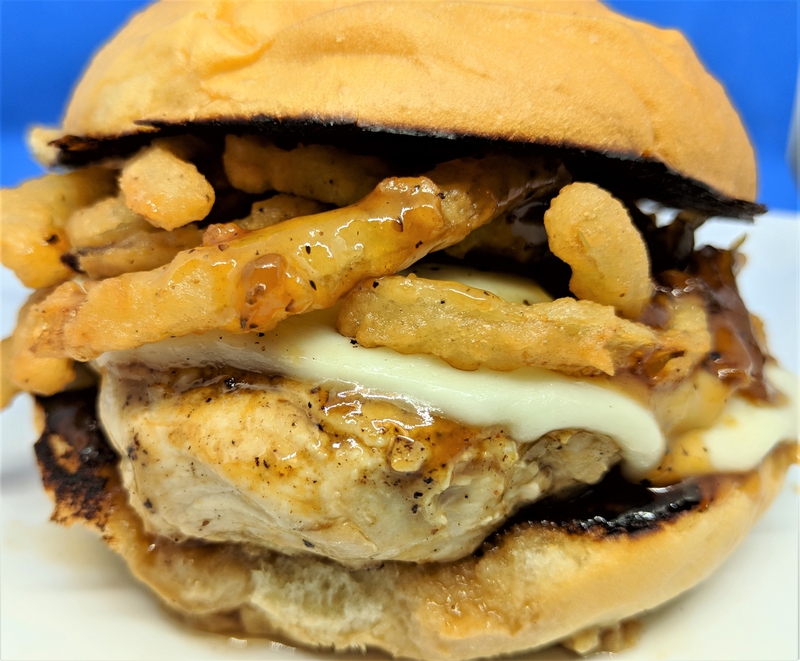 Grilled chicken breast topped with provolone cheese, crispy fried onion straws and our whiskey BBQ sauce. Grilled whole breast of chicken topped with applewood bacon, cheddar cheese, fried onion straws and our sweet & smoky BBQ sauce. Grilled whole breast of chicken topped with New Mexico green chili, habanero pepper-jack cheese and garlic aioli mayo. Grilled chicken breast topped with swiss cheese and fresh crushed avocado. Fresh fried whole breast of chicken coated with Nashville Hot sauce on a bed of coleslaw topped with crisp sliced pickles. *Contains Peanut Oil. 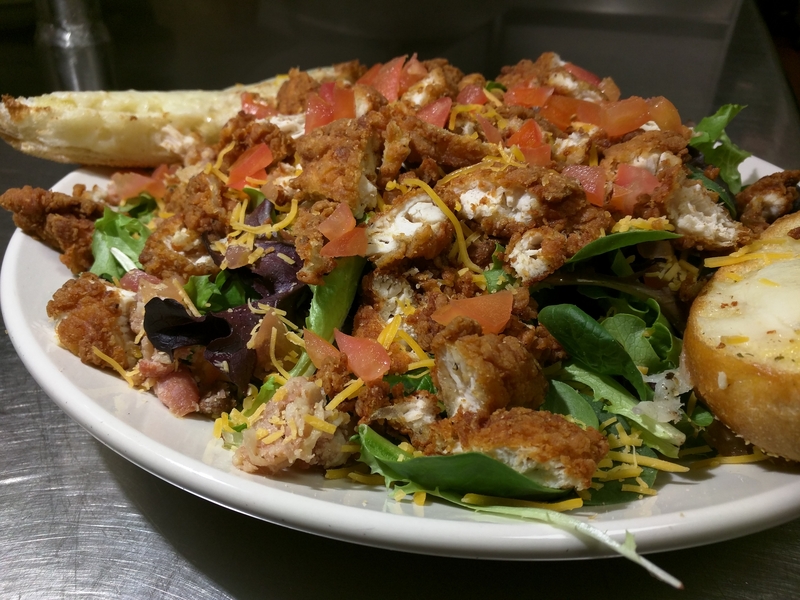 Breaded and fried chicken breast tossed in buffalo sauce topped with shredded lettuce. 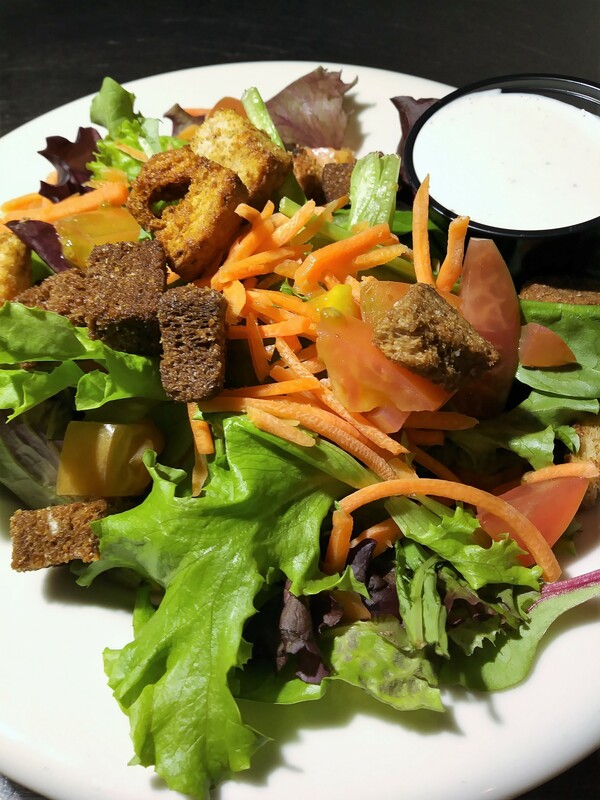 Served with choice of buttermilk ranch or chunky bleu cheese dressing. 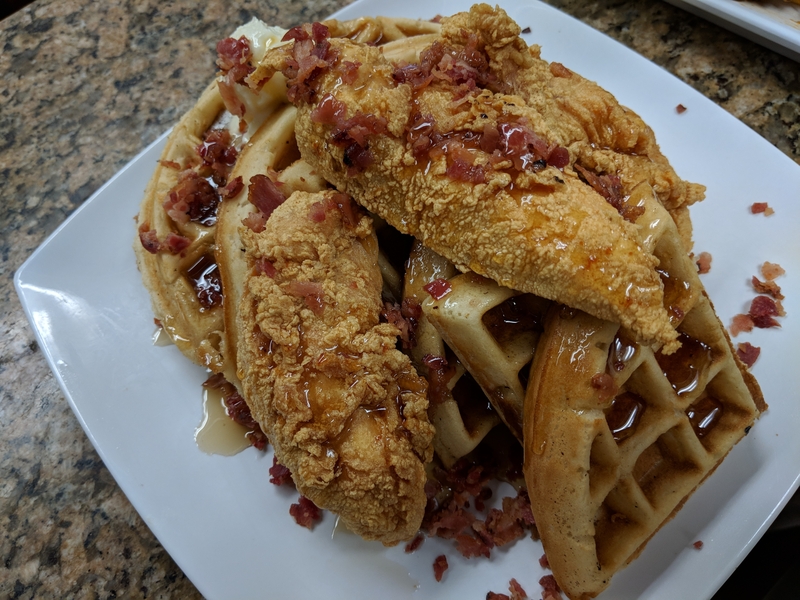 Buttermilk waffles, fresh fried chicken tenders topped with apple wood bacon bits, served with whipped butter and smoked maple syrup. Freshly breaded and fried to order. 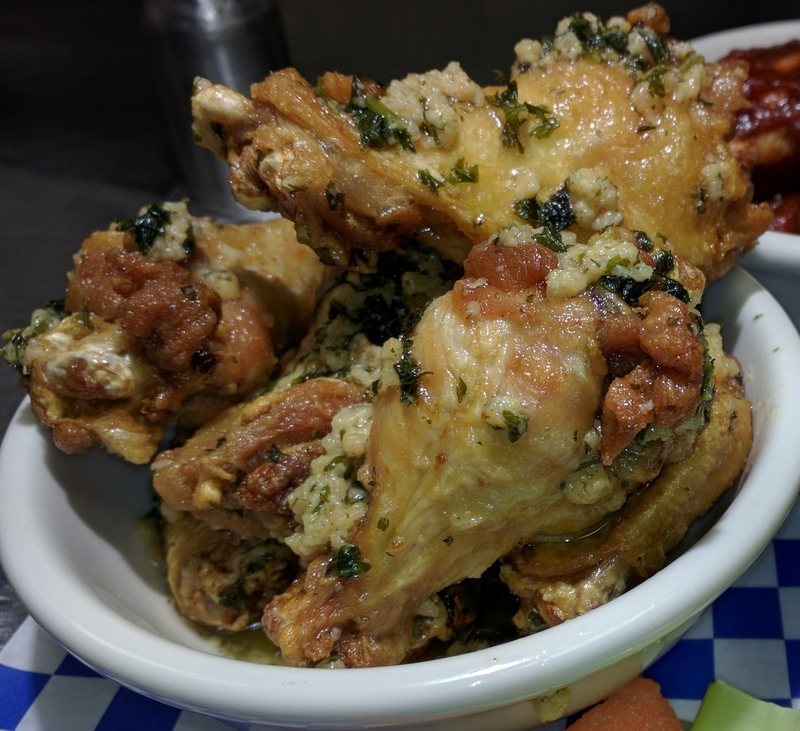 Served with your choice of side and favorite dipping sauce. 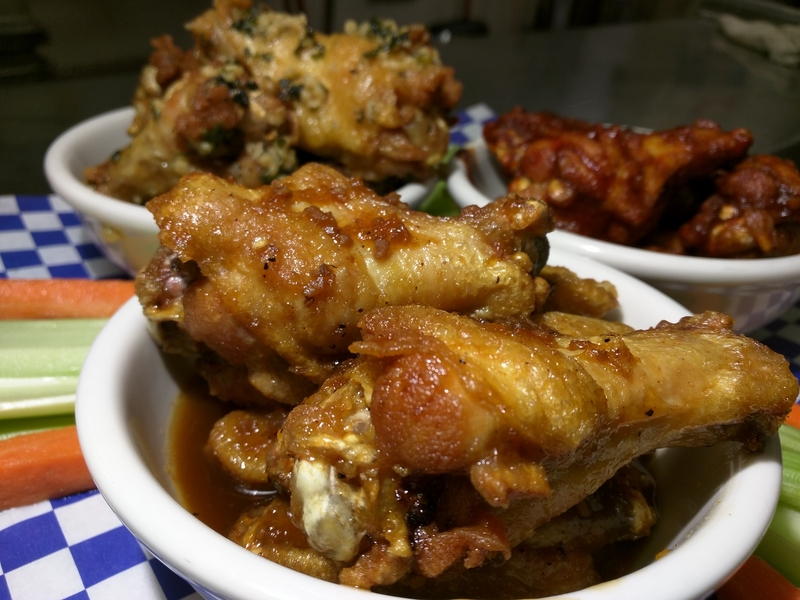 2 1/2 pounds of jumbo chicken wings pressure fried to order. Served with cut celery sticks and carrot sticks. Choice of wing sauce. Choice of Ranch or Bleu cheese dipping sauce. 2 Pounds of choice jumbo chicken tenders lightly breaded and pressure fried to order. Choice of wing sauce. Choice of Ranch or Bleu cheese dipping sauce. 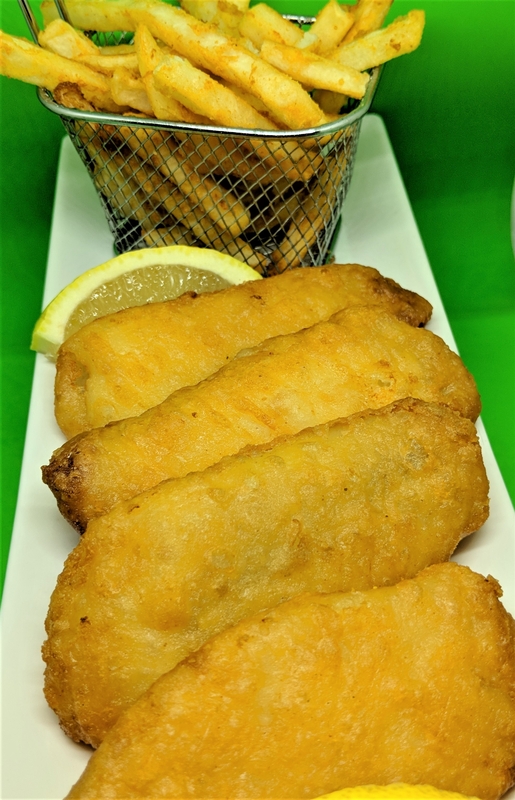 Wild caught Bay Cod battered fried. Served with lemon wedges and tartar sauce. Cocktail sauce available by request. Wild caught Bay Cod battered fried topped with coleslaw and tartar sauce. Pepperoni, shaved Italian sausage, bacon, and ham. Extra Mozzarella, Cheddar, Jack and Swiss.